The World Heritage Site Kaziranga National Park will be closed for the world tourists from May 31, 2018 instead of May 21, 2018. The Kaziranga National Park Director, Akashdeep Barua, has informed about the decision of extending the date for sightseeing in the national park from May 21 to May 31, 2018. Earlier, in an official order issued by the Kaziranga National Park divisional forest officer Rohini Ballav Saikia, it was announced that until further order, the Kaziranga National Park would be closed with effect from May 21, 2018. 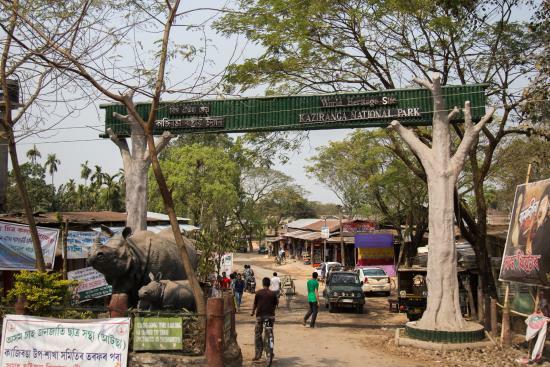 However, the Kaziranga National Park Director on Sunday informed that the Kaziranga National Park would be closed for the world tourists from May 31 instead of May 21. Earlier, elephant safari was stopped on May 1 for tourists in the Kaziranga National Park, which is home to more than 2200 Indian one-horned rhinos, approximately two-third of the total world population of the animal. Generally, every year with the arrival of the summer season, Kaziranga National Park is closed for world tourists. After May 31, 2018, Kaziranga National Park will remain closed for the tourists till October 31, 2018. The national park, which is located in the edge of the Eastern Himalayan biodiversity hotspots – Golaghat and Nagaon district was declared as a World Heritage Site by the UNESCO in 1985. To visit the Kaziranga National Park, November to April is the best time. A large number of tourists, both domestic and foreign, visit the national park every year. During the period from April to May, the climate remains dry and windy and one can find animals around the water bodies while from June till September, the region receives heavy rain and the park remains closed from May to October due to warnings of floods.